Got sparse brows? These eyebrow makeup tips can help make them look fuller. And just in time because - eyebrows are back baby! Full, rich, defined eyebrows are back in fashion. And, that’s a good thing because this little facial feature has a big impact on how we look – especially for women over 40. Nothing takes years off the face more than well-defined, shaped eyebrows. Defined eyebrows help balance the face which is important as we age because our face shape changes. Aging faces tend to look bottom heavy due to sagging cheeks, jowls, double chin and neck wrinkles. Why does our face shape change, what does it look like and what can YOU do? If you're over 40, you've probably noticed thin or sparse eyebrow hairs especially towards the outer corners of the brows. Geez! What happened? Seems like we spent half of our lives plucking overgrown brow hairs - only to wind up looking for ways to fill them in! Well, hopefully the right eyebrow makeup tips (with eyebrow tutorials) will help! There are plenty of beauty tips and products available to help deal with thinning or sparse eyebrows. But, the most effective solutions really depend on your individual situation. What are your brow issues? 1. Are Your Brows Thin Throughout - From Front to Back? Want more eyebrow makeup tips? Watch this tutorial. 2. Are Your Brows Missing Hair on The Outer 1/2 of The Brow? This is a perfect situation for using a super thin brush and a gel brow color. 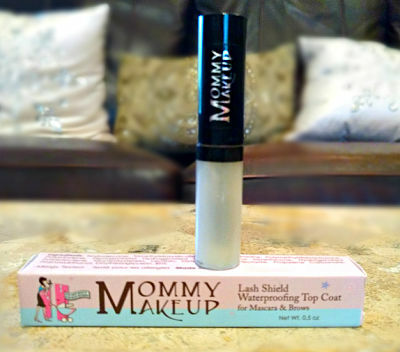 I use Mommy Makeup Eyeliner (which can be used on the brows too), but any waterproof gel would work. The super thin brush allows me to draw tiny hairs on the outer corners of my brows which gives me real natural look. Plus, it's waterproof so stays in place even if I get wet or sweat. 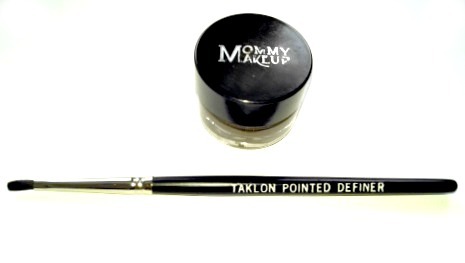 Yes, this is an eyeliner gel and brush, but it works GREAT for eyebrows. P.S. You can try any eyeliner gel and thin brush, but I like Mommy Makeup brand of makeup. It's versatile, good quality and inexpensive. 3. Are Your Brows Misshaped or Straggly with Balding Spots? This brow issue requires a steady hand and some control because you want to fill-in the gaps. A very sharp waterproof waxy-type pencil might be your best bet. I like Maybelline eyebrow pencil (yes, it's been around forever) but it works the best because it doesn't smudge or deposit too much color, so I can control it. Plus, it's cheap! If a pencil is too soft (crayon like) you need to have a very light touch and steady hand or it seems to deposits too much color and the brows look artificial or too harsh. In fact, almost all of the eyebrow pencils I’ve tried (except for Maybelline) are too soft and deposit too much color. I dislike that “smudgy” dirty eyebrow look. You can get this eyebrow pencil on Amazon. TIP: Make sure eyebrows are dry and free from creams or oils. Pencils go on easier with less smudge and look more like natural hairs. 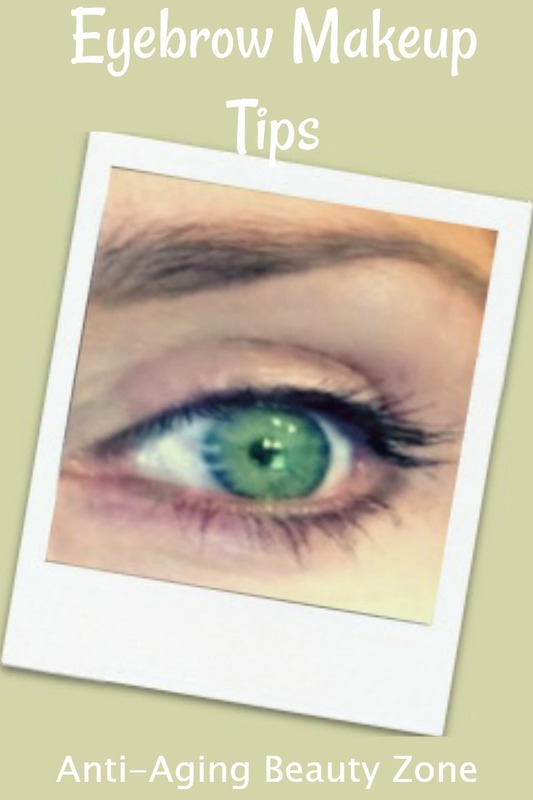 Try dusting a little powder on the brows or wipe them with toner first before using a pencil. If you like the look and staying power from a tinted eyebrow brush, you can still use it, but just use the tip of the brush to draw in missing hairs. The advantage here is you won't have to keep sharpening the pencil to get that smooth sharp look. This tutorial shows how to use an eyebrow powder/gel. Why do brows get thinner as we age? I’m not really sure there is one single cause for thin or sparse eyebrows. Some say it is a result of over plucking when we were younger. Others suggest a decline hormonal levels such as thyroid, estrogen and progesterone are to blame. But, if low hormone levels due to aging is to blame, why don’t men suffer from this issue too? Heck, I’m trying to talk my husband into getting his brows professionally waxed because they’ve become so out of control and thick over the years! Well, it really doesn’t matter why this happens – we all just want a solution that works and looks natural. Hope these eyebrow beauty tips were helpful. Got eyebrow makeup tips or suggestions for fuller eyebrows? Please share. Now that you've found a way to fill-in those sparse, thin eyebrows - how do you make the makeup stay put? While there are waterproof eyebrow pencils, there is a clear gel you can apply that not only keeps the eyebrow color vibrant and new looking, but also gives each eyebrow hair extra oomph - for a thicker look. You can also apply this gel on your favorite mascara. You can just use this stay put gel when you need to waterproof any of your eyeliner or eyebrow makeup.